Home >Blog > Why I love Halloween! My favorite time of the year is Halloween. Maybe it’s because I was born in October but I’ve always loved the classic horror movie marathons that go on during the whole month. When I was younger I would pour through horror magazines. I guess that makes me what they call now a “Monster Kid”. A few years back we decided to run a competition on our Facebook page. 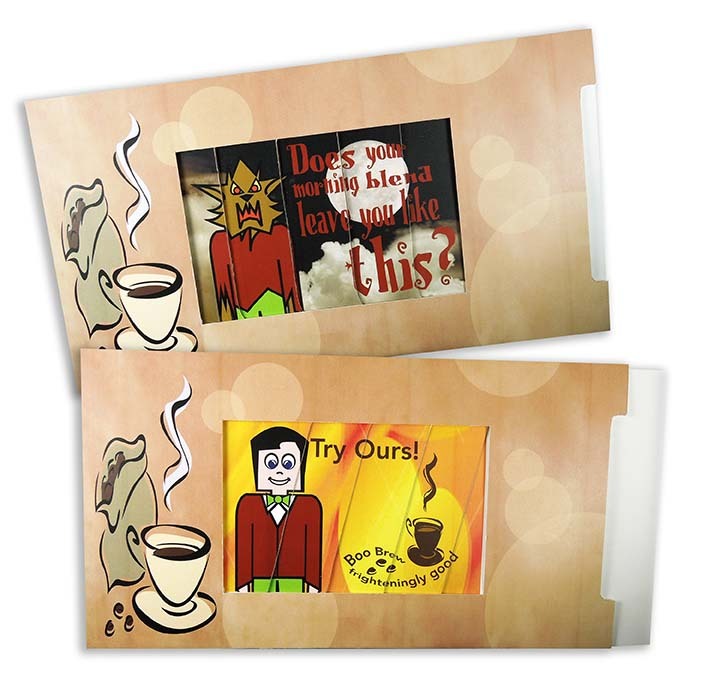 We picked three horror monsters and created faux products utilizing these monsters. We gave our audience a chance to vote on their favorite monster. The monsters were a zombie, a vampire, and a werewolf. The werewolf won by a landslide even though some of us Walking Dead fans were pulling for the zombie to win! 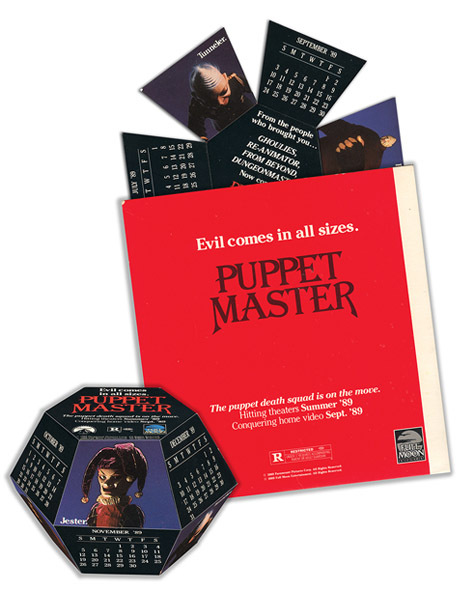 Years ago we did a polyhedron for the movie Puppet Master. 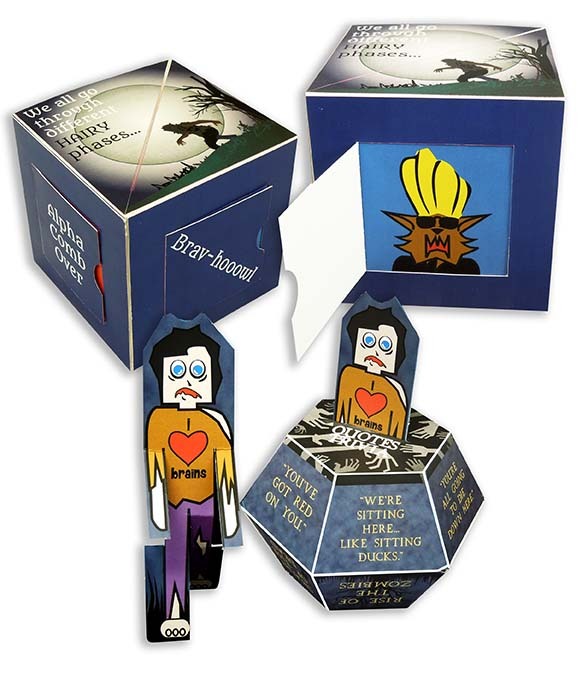 This pop-up was packaged with multiple items that were sent to video stores with information on how to promote the movie. Lately, in my spare time, I have been playing with different pop-ups for Halloween. 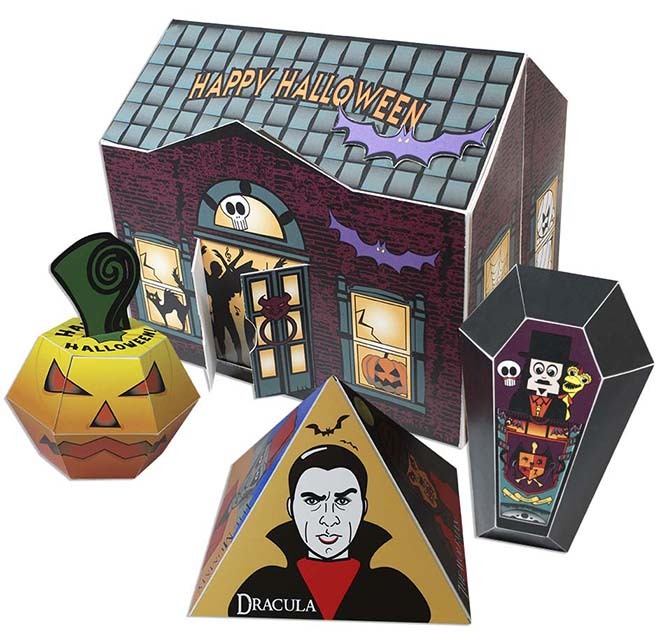 I came up with a haunted house, a pyramid illustrating the core Universal Horror Monsters, a pop-up coffin, and a very mad looking jack-o-lantern. Some of these I have given to my favorite horror movie host Svengoolie which he then featured on his show! Halloween is just around the corner, pop some popcorn and do your own binge watching of horror movies. You never know what might just pop-up!